Before any enforced IRS collection action, they will contact you to give you a chance to voluntarily pay what you owe. 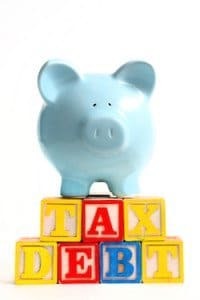 The first notice that the IRS will send you is called a Notice of Tax Due and Demand for Payment, a bill that tells you how much you owe in taxes, penalties and interest. This bill starts the IRS collection process, which continues until your account is satisfied or until the IRS may no longer legally collect the tax; for example, when the time period for collection has expired. File A Notice Of Federal Tax Lien against your property (make a legal claim to your property such as your home as security for the payment of your tax debt). The IRS has far greater powers than any other bill collector. The IRS has the power to put in place a wage garnishment, levy bank accounts, and other property. If you have received an IRS notice, contact Tax Samaritan right away to preserve your rights and best options to resolve your tax liability and get IRS collection activity of your back.